The word granite has become synonymous with the idea of a hard, durable, long-lasting material. 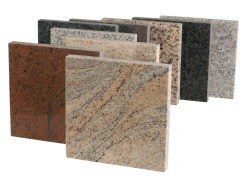 Unlike metals and manmade materials, granite maintains its form for many generations. Examples of the long lasting characteristics of granite include the pyramids in Egypt and parts of the Great Wall of China. These stone structures were built more than 1000 years ago. The durability of an ordinary stone's surface is between 50 and 200 years, but granite does not become completely weathered until at least 700 years. Even after weathering begins, granite structures like the ancient monument stand strong. This is one reason why granite is often used to make tombstones. For cutting granite, a diamond saw is the tool of choice. Granite cutting tools are made from bonded metal, and their core is rimmed with diamond abrasives. In order to increase the blade's cutting power, diamond segments ("cutting teeth") are attached to the core. Generally speaking, higher cutting power results in fewer chips. But the grooves between segments can sometimes lead to the chipping of work materials or of the saw itself. If chipping is a problem, a continuous rim is the solution. But overall, when evaluating a cutting edge, you will find that the segment type is superior for granite cutting. In order to cut granite properly, your tools must be accurate, durable, and possess a highly reliable cutting power. A saw that looses power, even for just a few minutes, is totally useless. The mechanism for cutting tool "wear" is a little complicated. Usually, good quality cutting tools have chips comprised of three vertical parts. The center of the chip is commonly designed to wear a bit faster than the lateral components. This prevents the head of the cutting chip from becoming rounded with wear. A round peak on the cutting tool is undesirable because rounded tips can slip on the stone's surface, negatively affecting your ability to cut along straight lines. The basic rules for the durability and longevity of a granite cutting diamond saw are as follows. As the saw blade cuts through the granite, the granite is simultaneously cutting away at the blade. Thus, the tool's cutting power and its longevity are inversely proportional. In other words, if you want to increase the life of the tool, you need to sacrifice a little of its cutting power, and if you want to increase the cutting power, vice versa. We have an extensive lineup of tools for granite cutting, tiles, concrete, ceramics, glass, and other hard materials. 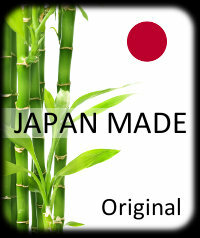 If you are looking for a product or size not listed below, please feel free to contact us.